RPG has English, French, Italian, German, and Spanish subtitles. 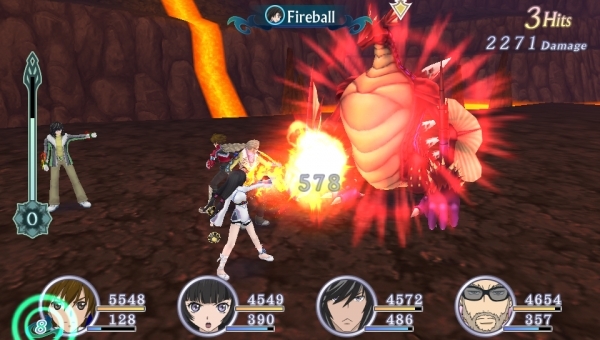 Tales of Hearts R will launch for PS Vita in Europe on November 14, Bandai Namco announced at Japan Expo in France. The RPG remake will feature English, French, Italian, German, and Spanish subtitles with Japanese voice-overs. The game follows the story of Kor Meteor, a young man living in a small village by the sea, as he sharpens his fighting skills under the watchful eye of his grandfather. Impressed with Kor’s growing skill, his grandfather gives to him a special type of weapon known as a Soma. Soma users must possess exceptionally strong Spiria, the source of all life from which the human mind and will are derived.